Sea Mercy is a not-for-profit organization founded in 2012 with the goal of bringing medical care to the remote islands of the South Pacific via “Floating Health Care Clinics” (FHCC). 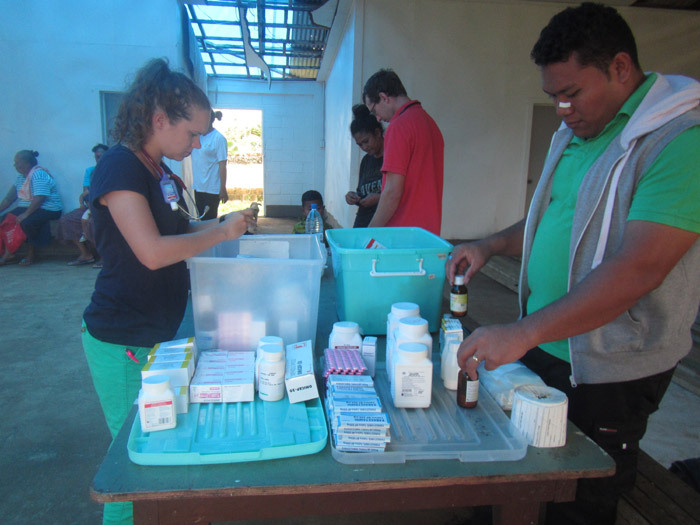 Working closely with local health ministries, Sea Mercy partners medical professionals with sailors in the South Pacific who provide access to small islands which otherwise have no regular medical care. Sea Mercy’s goal is to establish recurring visits to the same islands providing health screening, preventative care, maintenance of chronic conditions, and treatment of acute illnesses. 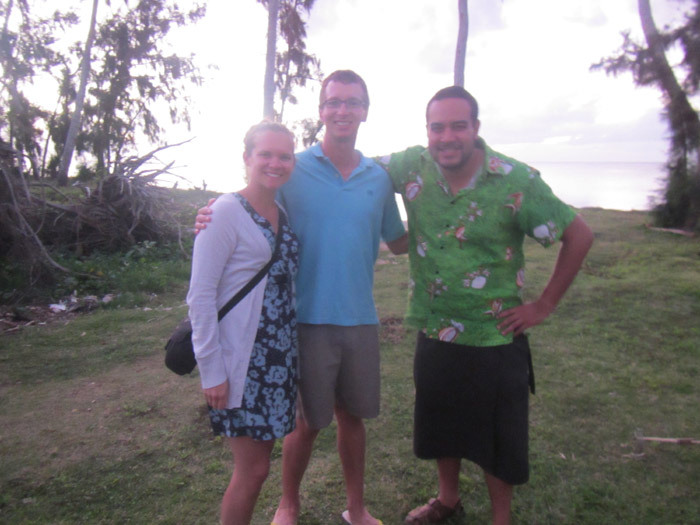 In May 2014, my wife, Carter, and I volunteered 2 weeks with Sea Mercy in the Kingdom of Tonga. Carter is an emergency department nurse and I am an emergency physician. Tonga is an island nation in the South Pacific consisting of 176 islands, about 52 of which are inhabited. 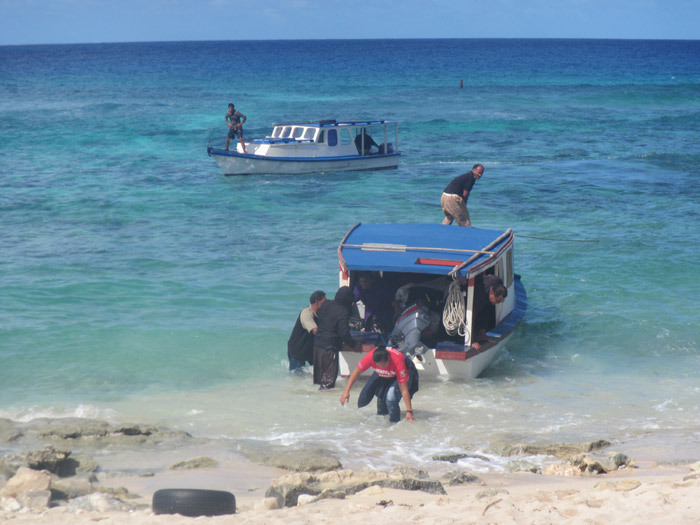 Sea Mercy reaches the smallest islands, some of which have as few as 40 people living on them. 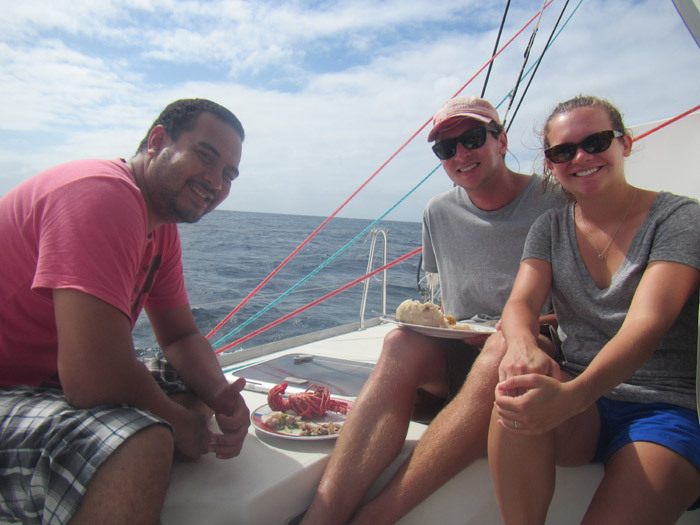 During our 2 weeks, we lived on Rebelle, a 45-foot catamaran sailboat captained by Xavier and his wife Amanda. We flew into Tongatapu, the capital island of Tonga, where we met up with Xavier and Amanda in the Harbor. 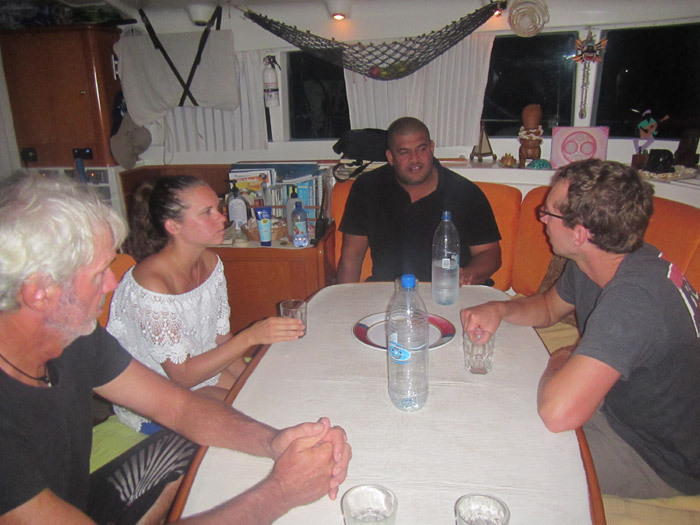 From there, we traveled about 70 nautical miles in the open ocean to Ha’pai, which is the most remote and least populated region of Tonga. We spent the next 3 days doing clinics on 3 different islands with populations ranging from about 40 up to 150. After these 3 clinic days, a tropical depression came through with winds up to 40mph. Many of the anchorages in Ha’pai are exposed to south and east winds, making for especially challenging conditions. We found the best anchorage possible to ride out the storm and spent the next 3 days rocking in the wind and waves and trying not to get too seasick. The weather cleared in time for us to resume our regular clinic schedule the following week, and we visited 4 different islands with similar small populations. 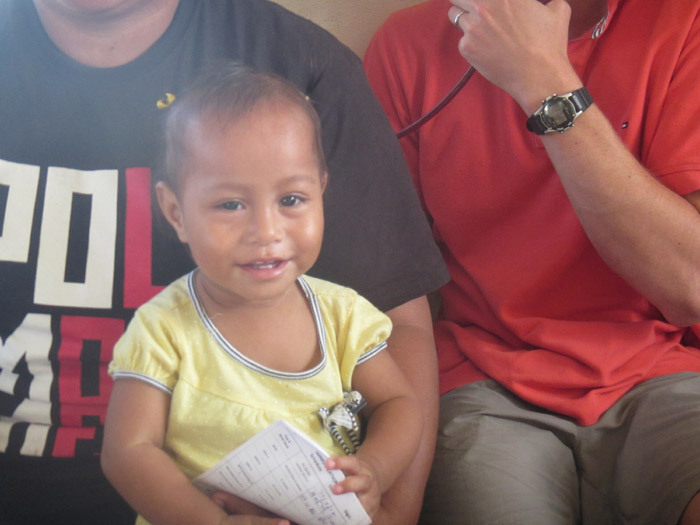 On each island, we were greeted with a welcoming committee to help us ashore and walk us to the clinic. After each clinic was over, the villagers treated us to a gourmet meal of fresh caught fish, yams, coconut, pork, and lobster. We found the polynesian culture to be incredibly generous and cheerful; the people had very little sense of material possession and would give you anything they had. They could also find humor in any situation and have a contagious laugh. 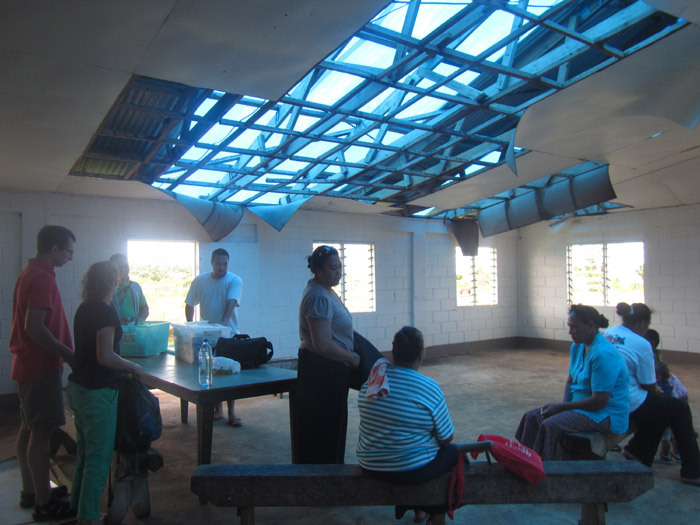 At the conclusion of our clinical rotation, we flew from Ha’pai back to the capital island of Tongatapu. The airport in Ha’pai was a single airstrip that stretched across the length of the island. The main road on the island crossed the runway in the middle, guarded by a gate that was usually closed when planes were landing and taking off. Before takeoff or landing, pigs and dogs that roamed freely around the airport had to be shewed off the runway. The airport terminal was a small cinderblock building open to the tarmac. The airport personnel were friendly and had everyone’s name assigned to the flight hand-written to be checked off upon arrival. There was no security check or pat-down before getting on the flight; everybody knows everybody on such as small island so there was no need. The small twin-engine plane accommodated 15 passengers for the 45 minute flight. Only the week before a similar plane had a “rough landing” when the landing gear failed to come out properly. We made it safely and actually enjoyed the experience! 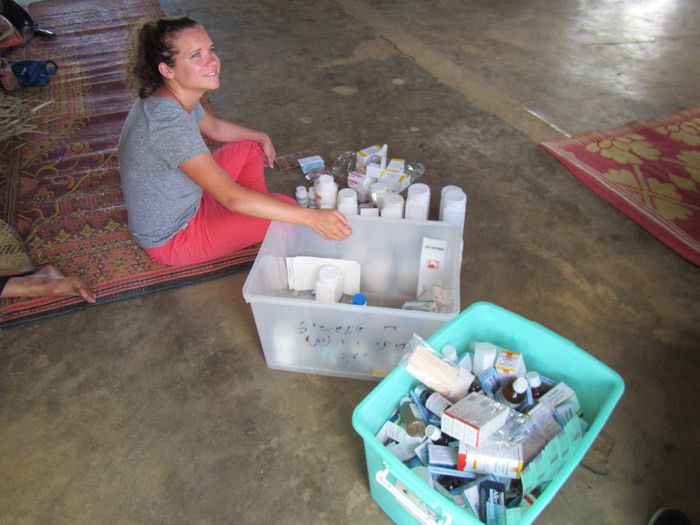 During the 7 different clinics, our team saw a total of 261 patients. We addressed a variety of medical needs including maintenance of chronic conditions such as diabetes, hypertension, and hyperlipidemia. We also saw an equal share of acute complaints including common thing such as back pain, knee pain, headache, dyspnea, fever, cough. We saw many patients who most likely had the chikungunya virus, which has become epidemic in the South Pacific. It causes fever, rash, and headaches, and often causes joint pains after the fever resolves. Treatment is supportive care; we spent considerable time in each village educating about preventing transmission from mosquito bites. 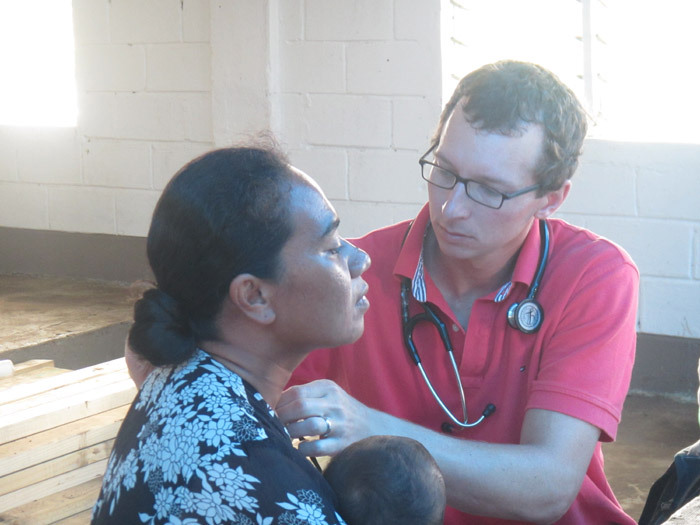 Working in the clinic alongside Tongan staff was rewarding and challenging. Our differences in language and culture provided great learning opportunities. Tongans are very light-hearted people who can find humor in any situation and love to laugh. This makes for a very different work environment than one typically finds in the United States where most people, myself included, probably take things too seriously. 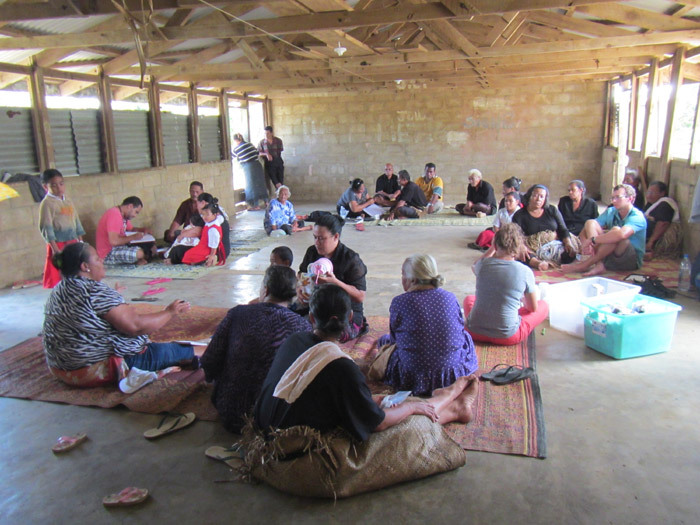 While at first we felt pressured to work more efficiently and see more patients, Carter and I quickly adopted a more Tongan approach to our work which allowed us to relax and enjoy spending more time with our patients and co-workers. This was a refreshing opportunity for us because we are accustomed to the fast-paced work environment of the emergency room in the United States where taking extra time to visit with patients and their family is very difficult. We returned to our jobs in the United States with a renewed sense of purpose and the desire to bring some of the Tongan charm to our daily patient interactions. Carter and I look forward to continued volunteering with Sea Mercy. 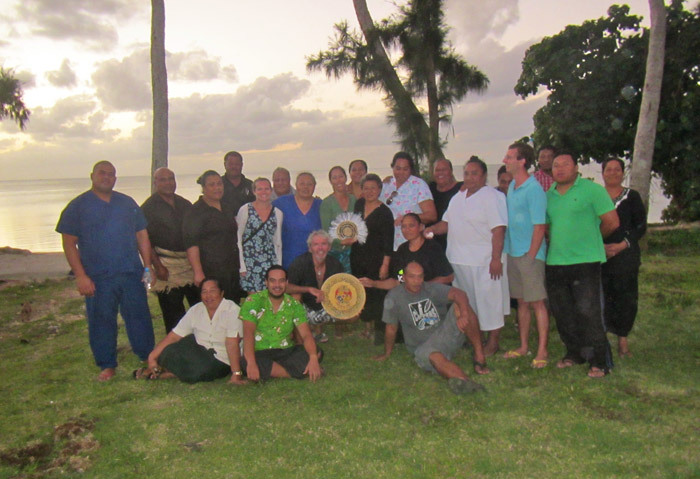 We were inspired by the Tongan people to continue working to improve access to healthcare among the remote islands of the South Pacific. Carter and I plan to take on a leadership role with Sea Mercy as Medical Director, working to establish a more regular source of volunteers and to better prepare volunteers for their clinical work. Please visit Sea Mercy’s website www.seamercy.org for more information and contact me with any questions at peyton.hassinger@gmail.com.